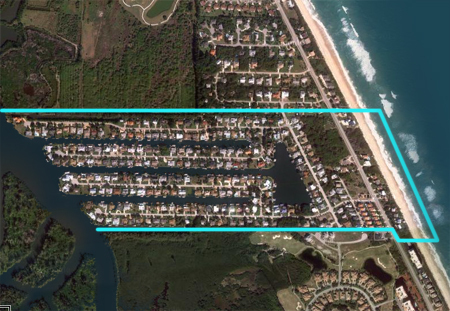 Sunnyland Beach in Melbourne Beach is an established boating community featuring canalfront and riverfront single family homes as well as some beautiful oceanfront residences. The canals are considered deep water and can accommodate large motorboats, but are not ideal for fixed-hull sailboats. 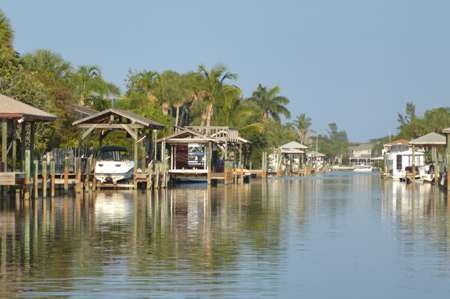 The community enjoys the safe harbor created by Mullet Creek Islands and excellent proximity to Sebastian Inlet just about 4 miles to the south. Amenities include a private beach access and a coop reverse osmosis water treatment facility that services the whole community. 6.5 miles south of Driftwood Plaza (Publix). Sunnyland Beach of Melbourne Beach is located in the middle south beaches. Enter community from Highway A1A via Beverly Court. 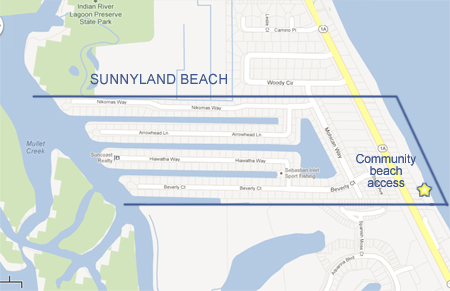 Beaches: Sunnyland Beach features a public beach access just south of the community entrance.